OUT OF STUCK UNTIL MID-JUNE. Blanks made for all former SS Room, new N.J. Sekela, Indianapolis Ordnance, and Dun-Rite Armory Blank Fire Only Non Gun SMG's. 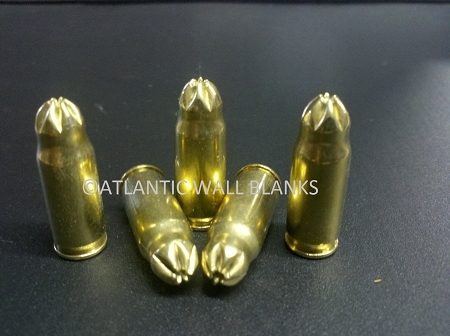 This blank is also used by many in modern 9mm pistols as an alternative to the 9x19 blank ammo. We have used these in factory Glock 17 & 19's, SIG P228, & Beretta 92 pistols.